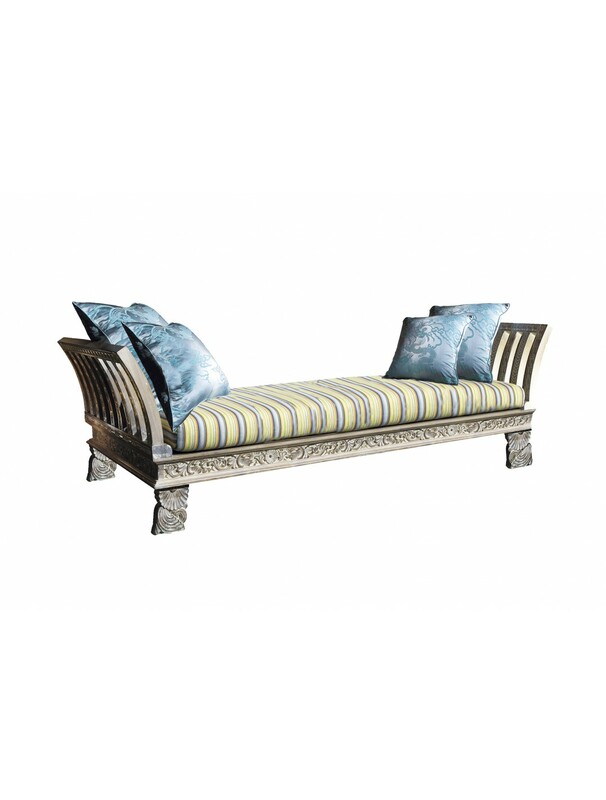 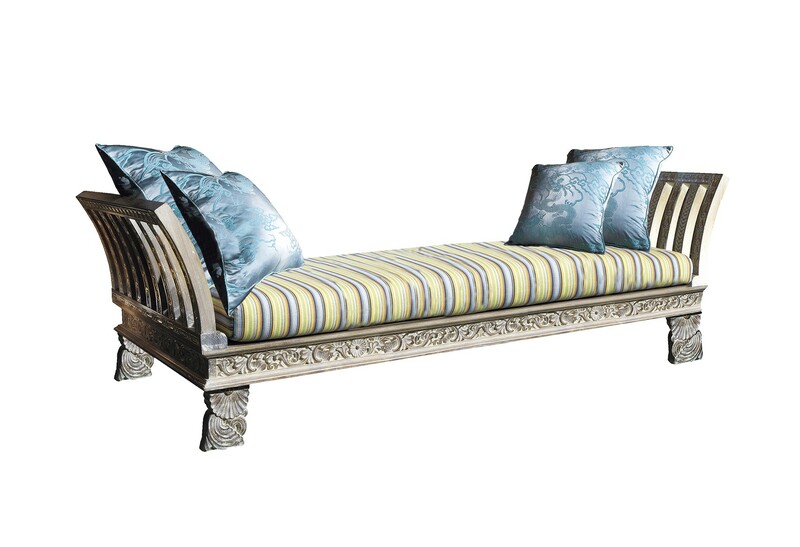 BALI BED,WITHOUT FABRIC,4 (55X55 CM) CUSHIONS,2 PILLOWS, C.O.M. 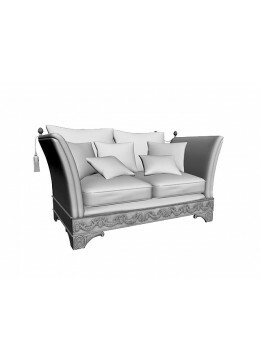 LORENA 2-SEATER SOFA, THREE 50*50 CUSHIONS INCLUDED, C.O.M. 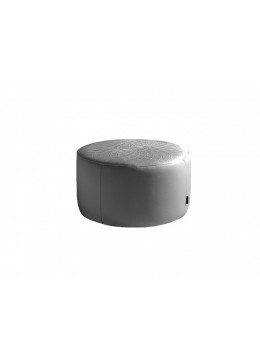 WIKA CIRCULAR POUFF, FOR LEATHER UPHOLSTERY, SILVER PRINT, 52 D.